Grudgewood combine prog sensibilities with catchy rock hooks and serious melodidic, harmonic and rhythmic chops. 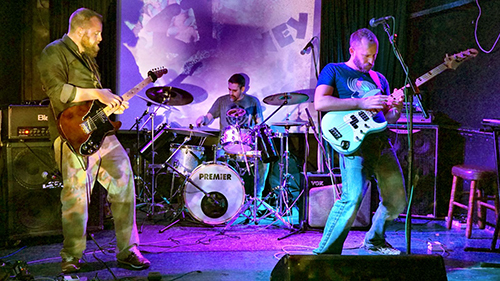 Formed by members of Junkie Brush, SOW and The Crushing in late 2017, the band hit the stage in November 2018 to instant acclaim. With influences as wide as Clutch, King Crimson, Primus and Zappa, expect weird time signatures and impossible to dance-to grooves.